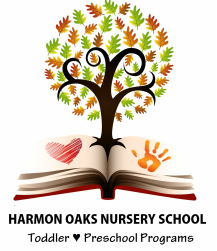 Located in Lake Balboa, Harmon Oaks houses two different and distinct programs within the nursery school – toddler program, and preschool curriculum. While the programs are united through Harmon Oaks’ facility and philosophy, they are distinct in care and curriculum. Full Time: 8 a.m. to 5 p.m. | Part Time: 8 a.m. to 12:30 p.m.
Critical curriculum for the preschool program begins at 9:15 a.m., so please make sure your child arrives before our special time with them begins!